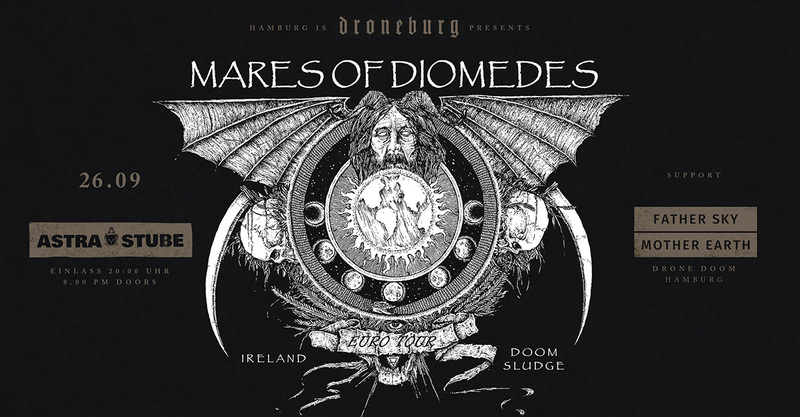 Very, heavey duo Mares Of Diomedes, from Ireland are coming to town. Check them out and come to the Astra Stube Musikkultur e.V., to see the how. The support is a Hamburg based duo Father Sky Mother Earth. Drone doom: Guitar and bass. Check them out here. Father Sky Mother Earth has released two monumental meditative albums since the beginning in autumn 2016. „Across the River of Time“ is an atmospheric journey through your own universe. Dark, intense and ecstatic: The Drone Doom Duo let’s you forget space and time.